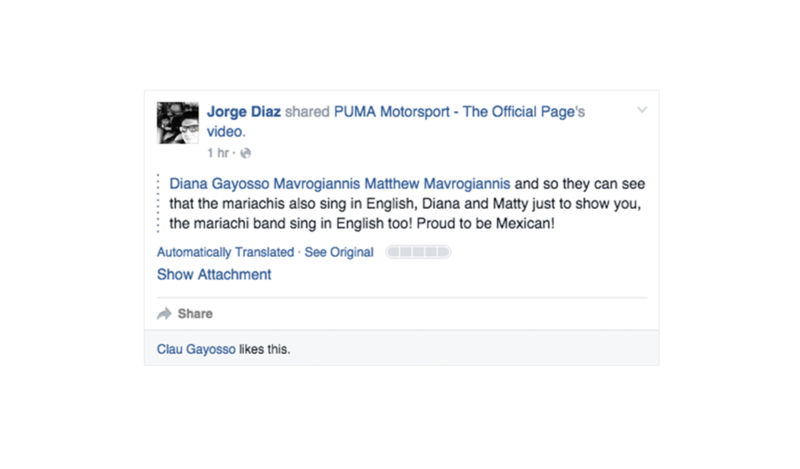 Recognition: Most successful post on Puma Motorsport social media with almost 170,000 views in 48 hours. 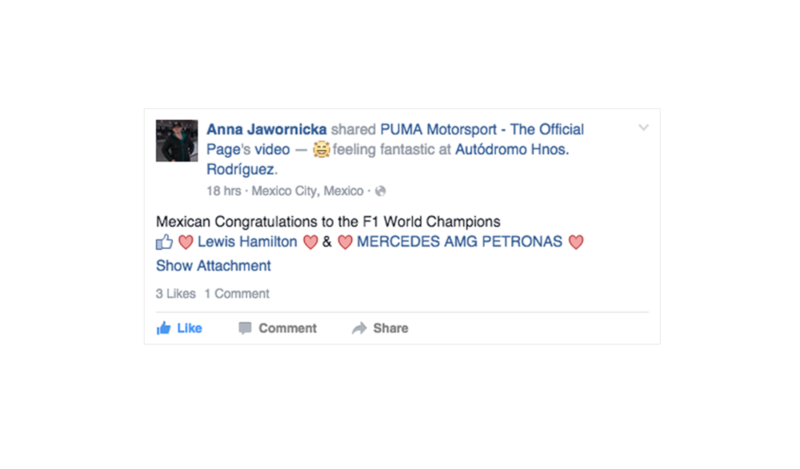 What better way to celebrate Lewis Hamilton's 3rd Formula 1 World Championship and 2nd consecutive victory, than to hear it directly from his fans all over the world? Well, nothing, except perhaps by putting a Mariachi twist on it, which is exactly what we did. 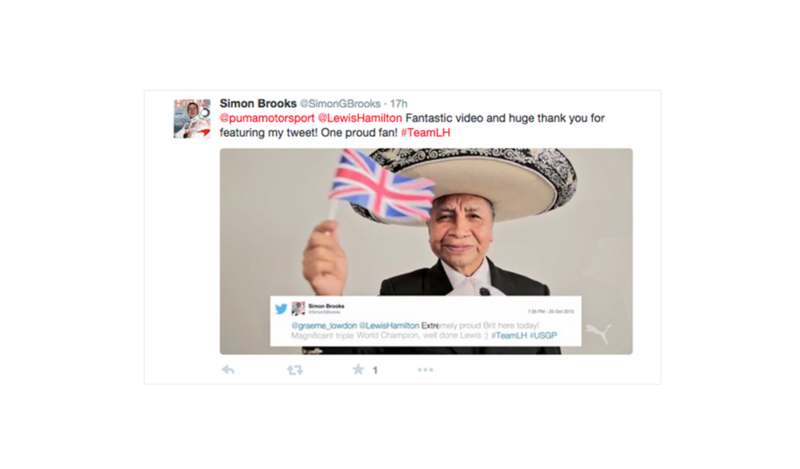 With the help of one of the best mariachi bands around, we put together a video compilation of all the celebratory tweets sent out by his biggest fans after his epic win. The video resulted in varied fan reactions from ecstatic to uncontrollable laughter to sheer pride. 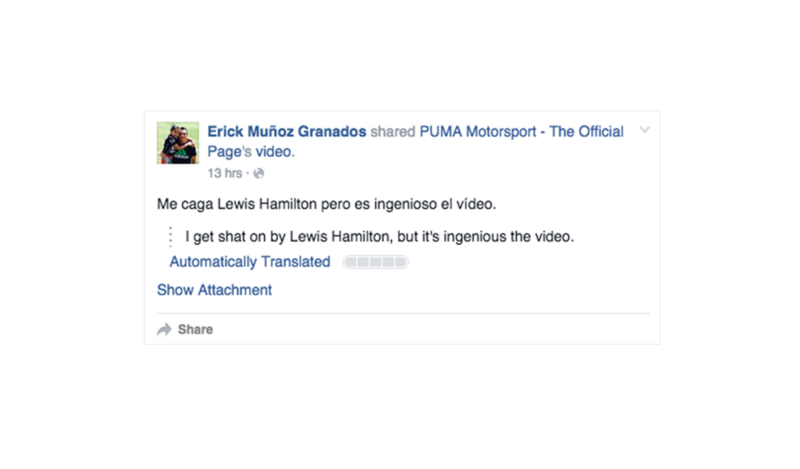 Social media channels racked up likes, views and shares, and in less than 24 hours, it became one of the post successful posts EVER by PUMA Motorsport. 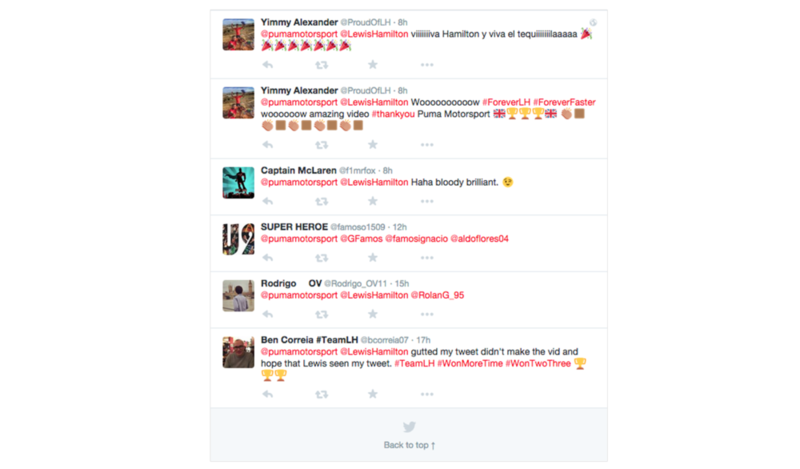 All in all, this was a win not just for Hamilton, but for the PUMA brand as well. PS: This video had to be posted soon after Hamilton's victory, and before his Mexican victory lap, so we had less than 24 hours to produce this from start to finish. Solid team effort all around.